Somebody is out here Trying Tamar dot com. According to a lawsuit, the extra hilarious reality star- singer stole a song– right down to the vocals– from someone else. Emmi Kozulin claims that she co-wrote the song “One on One Fun” with Angela Hunte and recorded her own version. The Jasmine Brand says that Hunte is a big deal in the songwriter’s circle, which is how the song ended up in Braxton’s hands by way of Epic and Sony Music. However, the version that Emmi recorded wasn’t supposed to be up for grabs. There was never any paperwork to show ownership. TMZ reports that Hunte did indeed had rights to the music and lyrics, but the recording solely belonged to Kozulin. The major problem here is that Tamar stole part of Kozulin’s vocals. As a co-writer of the song, Kozulin believes that she is entitled to 50% of the royalities earned by the track and damages. Tamar’s Love and War fared well with opening week sales of 114,000, debuting at number 2 back in October 3013. The title track has been certified platinum. A rep for Tamar and Co. says that the singer has nothing to do with the allegations and the issue is between Kozulin and the producers. Previous Post Kourtney Kardashian Pregnant With Her Third Child? I THOUGHT VINCE AND TAMAR WERE THE PRODUCERS ON THIS ALBUM. I AM SURE THE SONG WRITER AND SINGER REACHED OUT TO TAMAR TO GET WHAT WAS DUE HER AND TAMAR THOUGHT IT WOULD JUST GO AWAY. I WONDER IF TAMAR KNOWS THEY HAVE EXPERTS THAT CAN TELL IF THAT IS REALLY YOUR VOCALS OR SOMEONE ELSE. 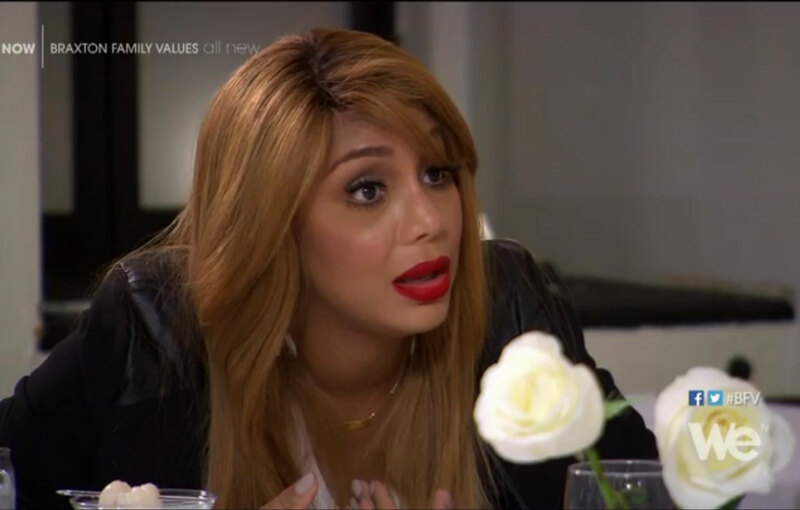 TAMAR SHOULD JUST PAY THIS YOUNG LADY AND KEEP THIS ON THE DL CAUSE IF IT COMES OUT THAT THIS IS ALL TRUE. TAMUPPET CAN JUST HANG IT UP. MAYBE TONI WILL LET HER DO DOO WOOP.